move in any direction at any given time. symmetry of movement, and agility to personalize a program. In athletics, speed is everything. 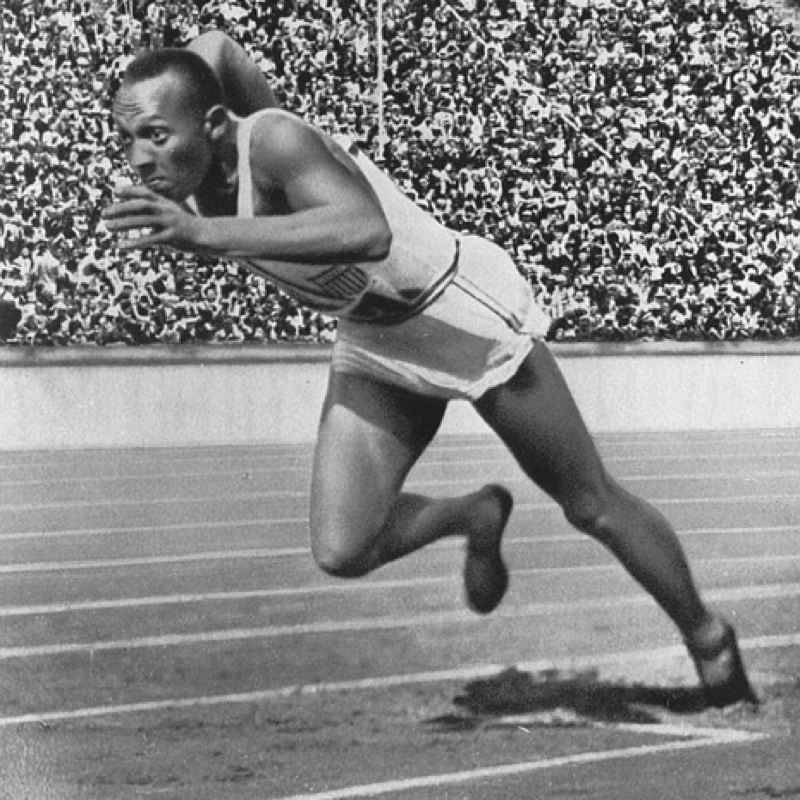 How can you tell an athlete to run at 18 mph when they can only physically run at 16 mph. Welcome to the Hidden Speed Academy. We tap into your hidden speed and make you run at the fastest speed you have ever run in your entire life. How do you know your full potential speed? 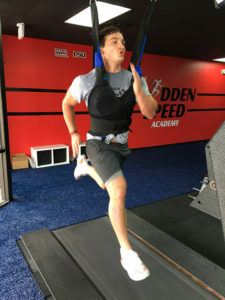 At the Hidden Speed Academy, we take off 30% of your bodyweight in a secure harness and then place you on a treadmill that goes up to 31 mph. With less body weight, you are able to run at much faster speeds. This trains your nerves and muscles in your body to react faster and enables you to run at a much faster speed. Athletes can start training with us as young as 10 years of age. Our process creates faster and more confident athletes on the playing field. In all sports, SPEED is everything. What age can my son/daughter start? Children can start training as early as 7 or 8 years of age. Will your program help my son in improving his speed in football? Depending on each athlete, you can expect to see results (oftentimes significant) within 8-12 sessions. This means improved speed in all directions. Do we need to get an assessment from our doctor or coach? Each athlete is required to get a full assessment from one of our Hidden Speed doctors prior to starting our speed training sessions. What does it mean tap into your hidden speed? On the ground, you don’t want to run any faster than your top speed because of fear that you’ll fall or injury something. Our harnesses take 30% of your bodyweight off and allow you to run at a much faster speed (your hidden speed) without this fear. Absolutely, we take all precautions to protect each athlete while training. Will it help an athlete improve in all directions? Absolutely, our protocols and machines help athletes to improve speed forwards, backwards, sideways, and starting with both the right or left foot. Yes, the personal training coach will be working closely with the athlete to monitor his progress. Why Choose Hidden Speed Academy? Offering a pecific training designed to meet the fitness and rehab goals of the adult client and high level physical enhancement scientifically developed by experts in human performance biomechanics and rehabilitation. All athletes are evaluated for Biomechanical and Nerve deficits/imbalances. The program addresses these issues first and then focuses in on improving physical performance. Advance to the top of your game with increased speed, vertical jump, agility, flexibility,and strength. Our program is safe and improves gait, balance and posture. Don’t miss this opportunity to download your FREE E-book from Dr. Chris Cormier, DC. Reach us from 7 am to 8 pm. Copyright © 2017 Hidden Speed Academy TM - Charn Web Design . All rights reserved.